Happy August, teacher friends!! I love this time of year -- browsing the school supply aisles, prepping my classroom, planning exciting first day events, but most of all, meeting my new fabulous firsties! This year, I did something new to meet my firsties..home visits!! Definitely, the best thing I have ever done!!! I loved being able to spend time to get to know my new students and their families. It was so valuable to be with them, talk with them, and begin to develop positive relationships with both the students and parents. I love, love, loved every minute of my home visits!! I think they were an incredible foundation to this new year! 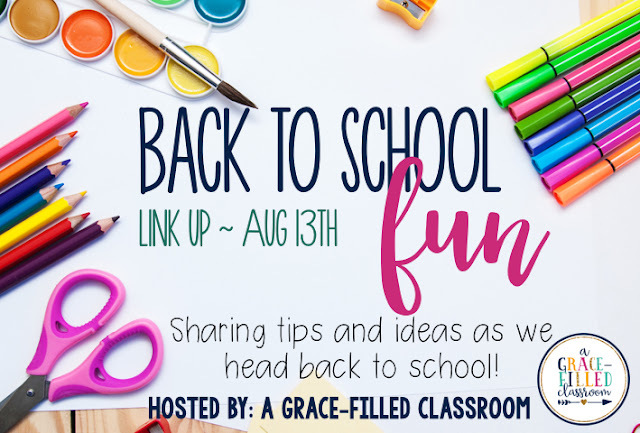 I'm so excited to be linking up with my friend Laura from A Grace Filled Classroom for some Back to School Fun with the MOST VALUABLE THING I'VE EVER DONE BEFORE SCHOOL STARTED! For several years I've always wanted to do home visits with my students, but it's never happened. Through the years I have visited some families, but I've never visited each of my students. I was determined that this was the year I was going to make it happen! It was an incredible and extremely valuable experience that I am so thankful to have had going into the school year! 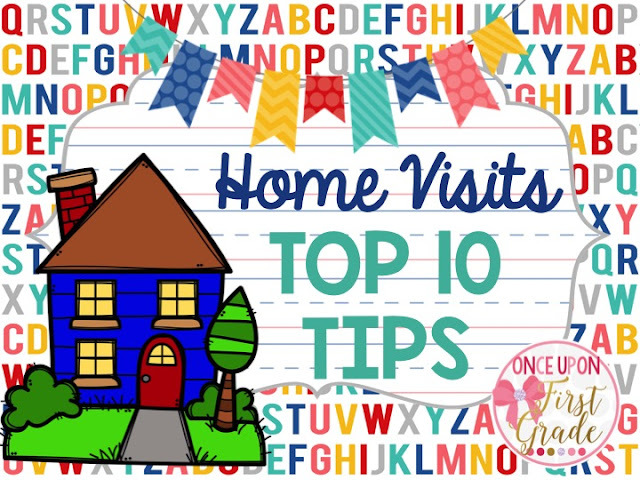 Here my top 10 tips that I would recommend for home visits!! 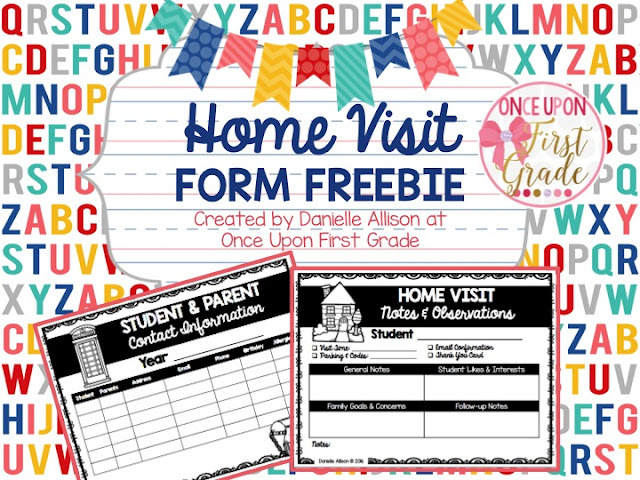 I used a SignUp Genius form (totally free) to allow my parents to signup for a home visit. I listed several days and time slots that they could choose from. I recommend putting some morning options, mid-day options, evening options, different days of the week, etc. so that regardless of a family's schedule, there is an option that meets their needs. Also, I tried to stress to the parents that it would be an informal time to get to know them and their family -- the last thing I wanted was for the experience to be overwhelming or stressful. In addition, I made it optional for parents. For some families, having a teacher come to their home may not be something they were open to, so I wanted parents to know that it was not mandatory. 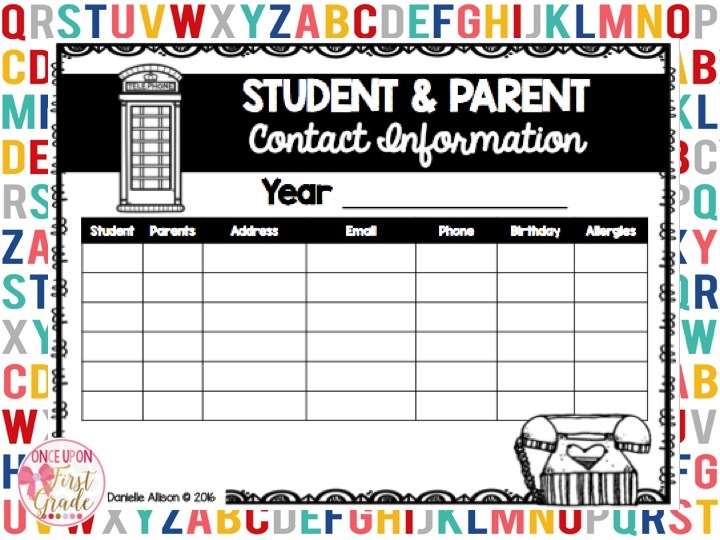 Having parents sign up online was easy, quick, and convenient both for them and myself. I used the form below to keep track of contact information. There is a link to a free copy of these at the end of the post. Two days before each home visit, I sent an individual email confirmation to each family. I confirmed the day, time, and address for the home visit. I also asked each family if there were any gate codes or parking information I needed to know! This was important!! Parents emailed back with some very key details I would have otherwise not have known! Definitely be sure to ask ahead of time!! I was raised to never go to someone's house without bringing something (or at least offering). 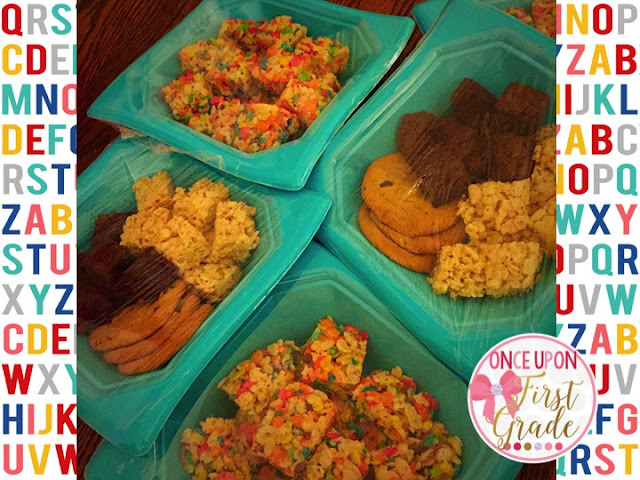 I baked some very simple treats for my students and their families that I brought to the home visits. They were quick, easy, but something special to give to each family as I arrived. You could make treat bags, bring something store bought, or even bring a book for the student. Regardless of what you choose to bring, I think coming with something helps the home visit start off on a very good note! For me, the goal of the home visits was two-fold: get to know the students and get to know their parents and families. On the student's side, I wanted to spend some time for them to be comfortable with me, to see what kinds of toys they liked, what their interests were, and just get to know them. It was so sweet to get to just play with my new firsties. Even though we play lots of games at school, they are all content-related. Being able to have special times of playing Shopkins, ninja sword tag, and Star Wars legos is something I will always treasure! As teachers, we are planned people who balance structure and flexibility on a daily basis. As I mentioned above, I definitely had a goal to spend time with both students and parents. However, each family was different and so each home visit was different...and they were all so valuable. Some of them I spent the whole time with the child playing with only a few minutes talking to the parents. Others we sat in the living room or around the dining room table and talked as a whole family together. One even turned into a one-on-one Chick-fil-A lunch because that worked best for the family. My perspective was to just follow what seemed most comfortable with each family!! In terms of timing, I had originally told parents I would just stop by for about 10-15 minutes. I did this because I didn't want my visit to seem overwhelming to families. However, if we were mid-conversation at the 15 minute mark and it didn't seem like they were trying to kick me out, I just followed the parents' lead. Most visits lasted 45-60 minutes. That may seem like a long time, but it allowed for a good balance of getting to know both the child and parents; when I was there, it never seemed too long. On the flip side, some were only 20 minutes (especially when I had back to back appointments and I had to drive from one to another) and those were also great. One family invited me to spend the whole day with them playing, swimming, eating a meal, etc. so that was over 5 hours. I think the key is to be flexible and follow the parents' lead on how long to stay. After each visit, I jotted down a few notes regarding the child's interests, general observations, any concerns or goals the parents brought up, any gifts I received (to be referenced in the thank you notes -- see tip #9), etc. Even in planning for the first week of school, I have been able to incorporate some of the students' like and interests into our activities. In addition, knowing the parents' feeling about different content areas, etc. has helped in my planning as well! This was the note tracker that I used! There is a link to this FREEBIE at the end of the post!! One thing I was also trying to note at each visit, was how to incorporate each students' interest into a lesson. I ended up seeing some new toys that would be so fun to use in the classroom. 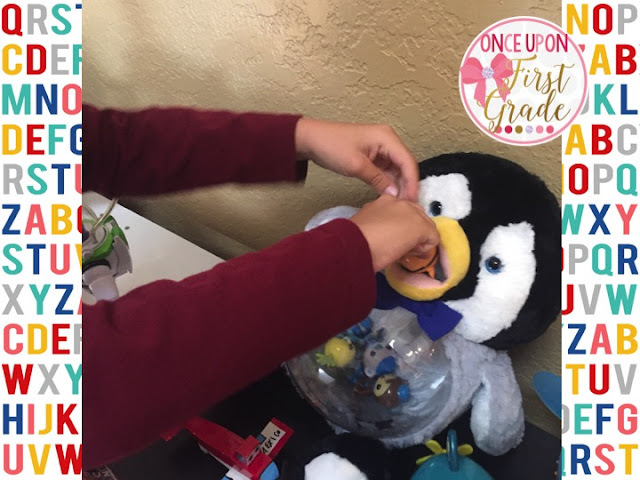 For example, this adorable penguin toy below "eats" other toys. I was thinking this would be SUPER fun to use with flash cards (if you read the word or answer the math fact problem correctly, you could feed it to the penguin). I already asked the student if he would be willing to bring it in for us to use one day, and he is so excited to be able to play a part in one of our lessons. Just like bringing a treat, I think thank you cards are a seemingly small, but hopefully personal touch that continues to foster positive relationships with students and their families. It definitely does take time, but I think it's very critical! If you were given any treats of gifts, be sure to thank the families for those as well! 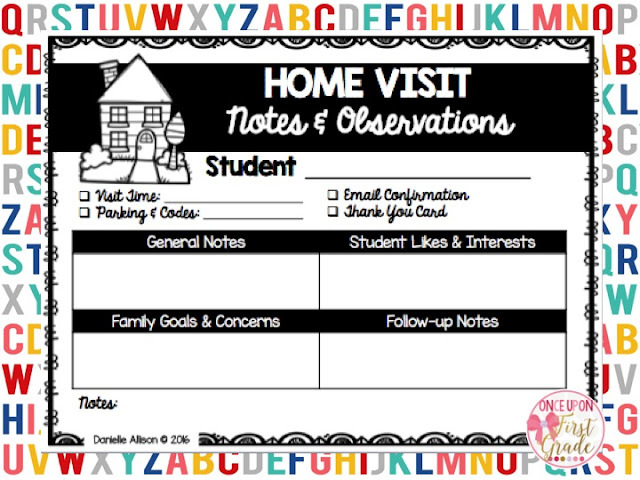 It's awesome to start the year off with home visits (honestly, best thing I've ever done for fostering relationships with parents), but I think it will be key to maintain these relationships during the year. With my students, I'd like to have at least one more time with each one of them as the year goes on -- attending one of their sporting events or music recitals, etc. I want them to know that I value all their talents and skills both inside and outside the classroom. Also, the more they know I care, the more they are willing to invest at school. This is why I think it's such a key to keep this relationship going. In addition, there were goals that parents had that I'd like to check in on after the first few weeks of school -- how do you think we are progressing? Are there additional things we should be doing at school to help meet this need? I think having a home visit was a wonderful foundation for us working as a team this year! If you'd like a copy of the Student & Parent Contact Form and the Home Visit Notes & Observation form, click on the picture below for the link to the product. Hope you enjoy! I truly believe home visits are such a sweet and extremely valuable experience! They got me truly excited about the wonderful year we will have!! If you end up doing some visits, let me know! I'd love to hear all about them!! Happy Back to School Fun, friends!! 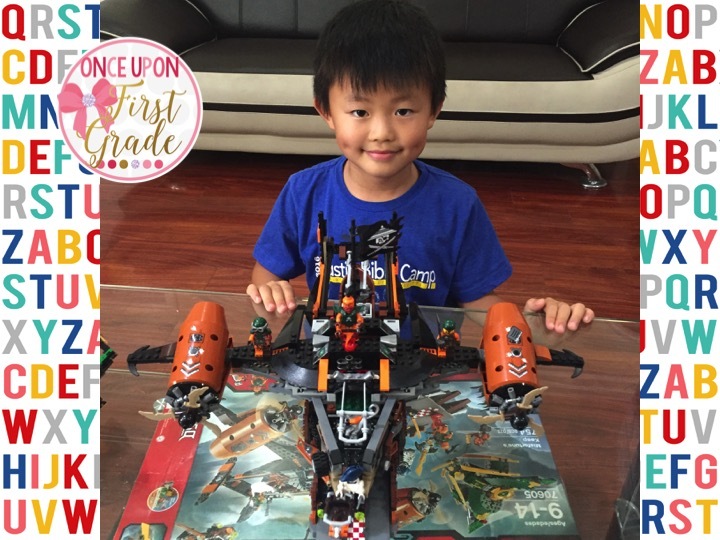 Wow, how special your students & families must feel after their teacher made such an effort. I'm sure they love you! Have a great start to your new school year! Wow, Danielle! I've always wanted to visit students too but time is a factor. I love that you started early enough to fit them all in. I am sure this is an experience your students will never forget! What a special moment! This will definitely go a long way in creating a positive classroom environment! ( I would have loved having a teacher like you!) P.S. I remember reading that Ron Clark would do this with his students too .... You can be the female version of Ron Clark! Yay!